Provide comfort for the family of William "Bill" Gosser with a meaningful gesture of sympathy. 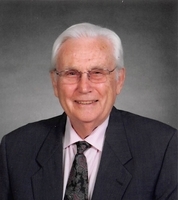 William Ruedell (Bill) Gosser died in Bloomington, IN, on February 25, 2019, at the age of 94. Bill was born May 10, 1924, in a one-room log home on Gosser Ridge in Russell County, Kentucky, fifteen miles from the nearest town of Russell Springs. He walked to a one-room school which was about two miles from home. The school year was 6 months long and ended in early January. School was taught sometimes by teachers who had finished only the eighth grade. After Bill finished the eighth grade, the nearest high school was fifteen miles away and school buses were unheard of in the county. A few of his teachers had gone to Berea College, which at that time had a division designated as the Foundation School. The Foundation School was devoted to teaching people who did not have access to high school. He applied to the Berea College Foundation School which was a boarding school and accepted students who had no money. Those students had to go on the half-day plan of working four hours a day and going to classes the other half day. 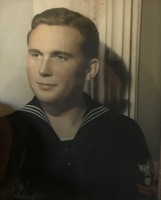 Bill finished high school at Berea and went into the Navy during WWII. After Naval training at Purdue as an electrician's mate, he served most of his Navy time at Pearl Harbor. Upon discharge from the Navy at the end of WWII, Bill returned to Berea and finished two years of college. He then transferred to Indiana University to complete his college education. Bill earned undergraduate and Master's degrees from Indiana University and settled in Bloomington. Bill taught Journalism, Photo-Journalism, and English at Bloomington High School South and retired in 1973 after twenty-two years as a teacher. For many years, he sponsored the school newspaper, (Optimist) and the yearbook (Gothic). In retirement, Bill invested in real estate, spending his energy buying, selling, and maintaining his properties. Bill loved ballroom dancing, exchanging stories with friends, and made friends wherever he went. He was a member of the Northside Exchange Club, Masonic Lodge, American Legion, and the First United Methodist Church. He continually enjoyed seeing and talking with former BHS graduates. Bill is survived by his wife of 25 years, Ivey Nall Gosser, and her children Alan Hardy Nall (Lindie Kate Stoll Nall) and Jonathan Nall (Gretchen Louise Holtz Nall). Grandchildren include Benjamin Alan Nall, Mia Kate Nall, Luke Owen Nall, Ruth Louise Nall, and Iris Holtz Nall. Bill’s surviving siblings are Troy Leon Gosser (Lavada Russell Gosser) and Reno J. Gosser; and sister-in-law, Bettie Miller Gosser. Bill is preceded in death by his first wife of 42 years, Ilene Heid Gosser, his father, William McKinley Gosser, and his mother, Lula Murtle Wilson Gosser. 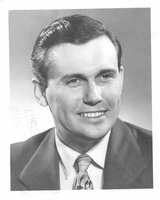 Bill’s deceased siblings include: brother William McKinley Gosser, brother Clinton D. Gosser (Ester Saul Gosser); brother, Arlo A. Gosser, sister Eula May Gosser Semich (Dr. Robert L. Simich), and J’s deceased wife, Ida Jean Baily Gosser. 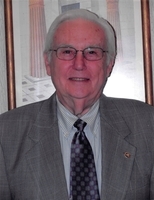 Contributions in memory of Bill may be made to the Bloomington Northside Exchange Club, PO Box 1521, Bloomington, IN 47402. Services will be at 5:00 PM on Friday, March 1, 2019 at The Funeral Chapel of Powell and Deckard, 3000 E Third Street, Bloomington, IN. Visitation will begin following the funeral services until the Masonic Service begins at 7:30 PM, all at The Funeral Chapel. On Saturday, visitation will be at Moster Mortuary, 334 N Main St, Rushville, IN from 12:00 PM–1:00 PM with a service at 1:00 PM. Burial to follow at Easthill Cemetery in Rushville, IN. I never understood back in 1965 and 1966 how Mr. Gosser could tolerate the procrastination and last minute behavior of his Gothic editor. I now understand where that patience came from, his own life experience. He had that gift of letting you be who you were.